In 1965 these Topps Transfers were issued as inserts in strips of 3 players. 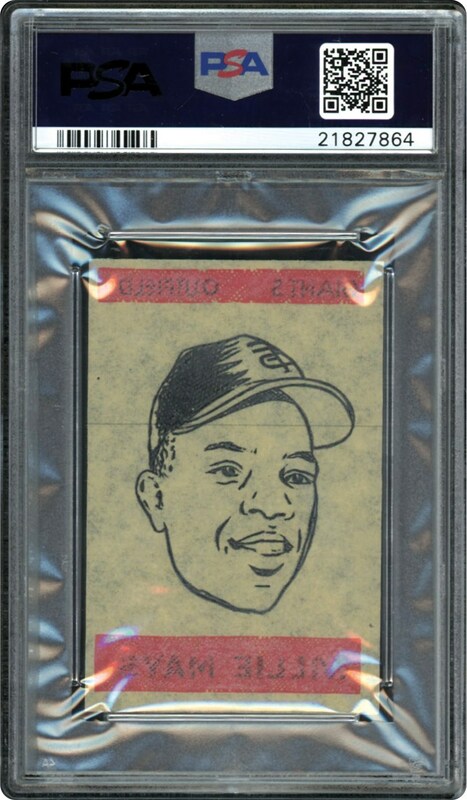 They measure 2" x 3" and there were 72 Transfers created by Topps for this set. 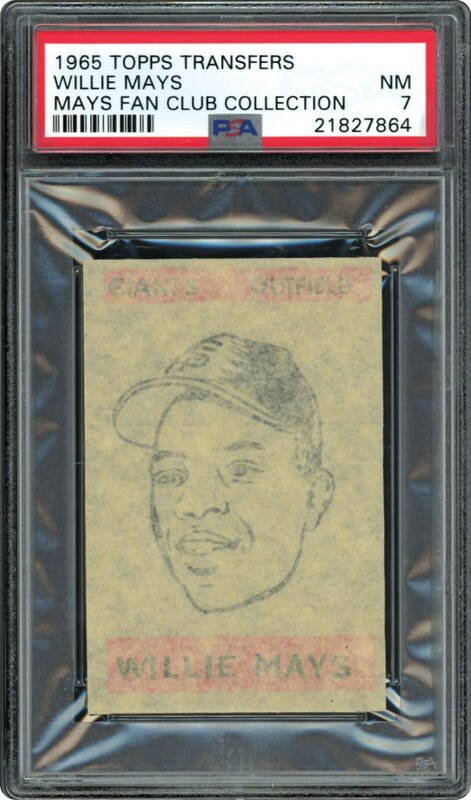 Offered is Willie Mays in a PSA 7 holder. The one and only PSA 7 with nothing grading higher. Great Mays card for the best of the best collections.